Why Is It So Hard To Give Up On Potatoes? There are certain foods that you eat because you know they are necessary for your well-being, but then there are foods that you just can’t do without because they have the power to instantly stir up the soul and make you feel good. You will be surprised to learn that what we eat affects us in many different ways, beyond delighting our taste buds and boosting up our nutritional requirements. These are what we call as comfort food or soul food because they either evoke fond memories or make you feel immensely satisfied. And nothing else matters. A perfect case in point here is potato. 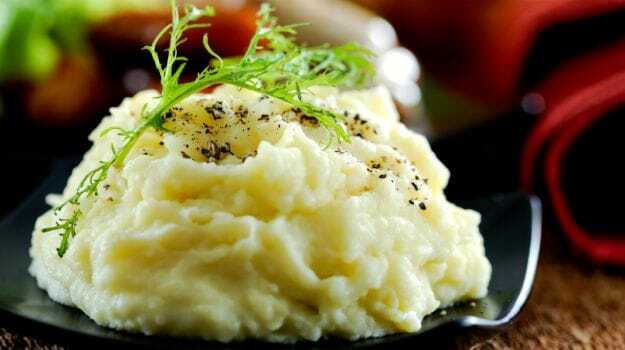 Undeniably, potato is the most loved vegetable across the globe. Say potato and it has the power to make one drool, almost instantly. 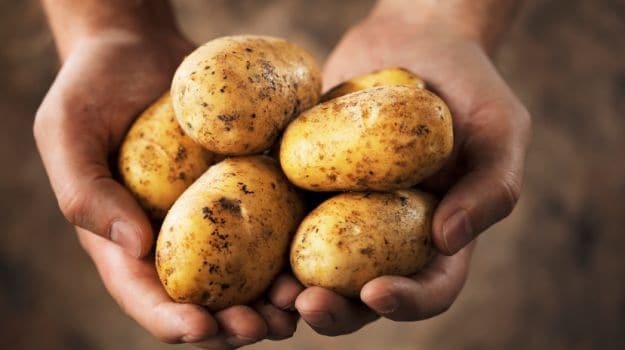 It is said that on an average, every global citizen eats 33kg of potatoes each year! Is it the flavour? But it’s just a bland tuber. Then is it the texture? Crunchy, fleshy, or mashed – there’s nothing extraordinary about it. Is it the way it looks perhaps? No way! Then what makes it so irresistible? While potatoes commonly feature in our daily subzis, curries, parathas, snacks like samosas and tikkis, we have always been told to keep a check on the amount we consume because too much can lead to various health problems, besides making you fat. It has been preached to us so many times by our elders that we have grown up believing every word of it regardless of our success or failure in being able to deal with potato. If the old and wise have said it then it ought to be true, isn’t it? However, contrary to these statements, many research papers and studies have revealed that potatoes are actually loaded with nutrition, with each potato providing us 45 percent of our daily recommended intake of Vitamin C, along with other vitamins and minerals. So, with all such studies, is it really true then? Is potato good for our health? Sorry to burst your bubble, but the key lesson to learn here is called ‘moderation’. A potato is loaded with nutrients, but it is also high in calories and carbs. While in its natural form it can provide you with various benefits, when teamed with other fat-rich ingredients, it can be equally dreadful. What really matters are how we use it as an ingredient to cook the various dishes and how much of it we consume on a regular basis. So how do you like your potato? Hash browns, French fries, wafers, mashed with bacon fat, patatas bravas, aloo parathas, samosas, tikkis? Yes, yes and yes! And all please! The truth is that the bland tuber gets its flavour boost from the other ingredients that we add to it during the cooking process or the very cooking method that we use, particularly deep-frying. Unfortunately, or fortunately, when it comes to potato, very rarely do we use it in its simple natural form. Take mashed potatoes for instance. They are boiled; yes, that’s good for health. Then we mash them with dollops of butter and heavy cream, or generous gratings of cheese. Sometimes we even add in bacon fat for extra flavour! With all these richness, how can it not be mind-blowing? 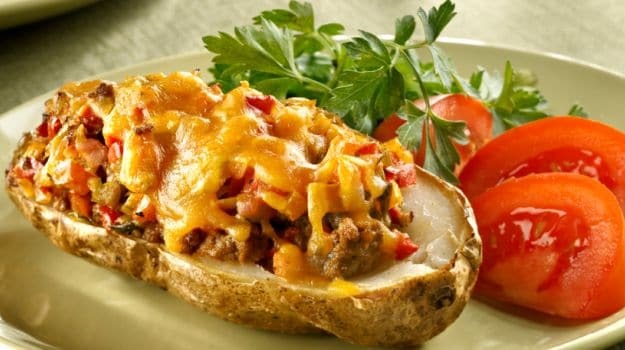 Even baked potatoes, we like them only when they are loaded with cheese and minced meat. The more decadent, the more enjoyable a treat! Potato’s exclusivity lies in its power to soak in different flavours and get transformed to something extraordinary. This is the reason why during the preparation of meat curries, particularly in the eastern part of India, potatoes are always added in at the later stage of cooking. Have a bite of the meat curry-soaked potato and you will realise its true potential. Bet you’ll want it in every curry henceforth. Or take Aloo Dum for instance. The potatoes beautifully soak in the flavours of the myriad spices, making it an absolute treat. Now coming to all the fries, the technique of deep-frying is a culinary revelation. It makes everything taste good, even bitter gourd! The crunchy outer and the moist inner, the mix of spices – all these elements create magic on the palate. And when potatoes are involved, it is a match made in heaven. You just can’t go wrong. Bengali mutton chops, potato wedges, pakoras – you name it! The characteristic of potato is such that it easily melts in the mouth. Potato as such contains 80 percent water and 20 percent solids (mostly starch). 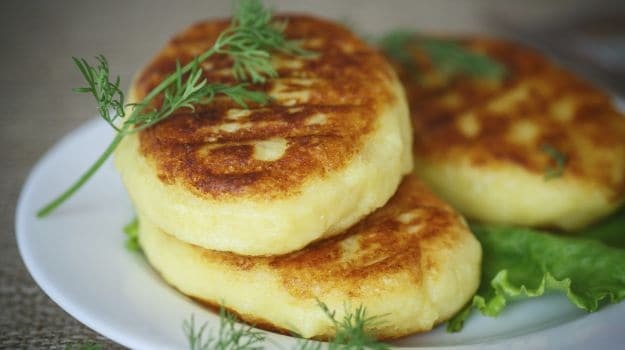 So when heat is applied, the crystallised starch gets converted into a moist, mash-like substance, which is easy to bite into and digest. So together with the spices, flavoured oils, cheese and what not, it becomes pure deliciousness in the mouth and extremely hard to resist. Even something as simple as Aloo Pitika, a popular Assamese dish – mashed potatoes with chopped onions and green chillies, fresh coriander leaves, a sprinkling of salt and a little drizzle of mustard oil – tastes like heaven, the ultimate comfort food. CommentsIf only such simplicity prevailed among the urban folks! But the truth is we love our potato doused in butter, deep-fried to the core, loaded with meat and cheese, and with no limit to how much of these we should consume. It has to accompany our sandwiches and burgers, steaks, meat roasts, veggies, stir-fries, chaats, quick snacks, breakfast, subzis, curries – everything! 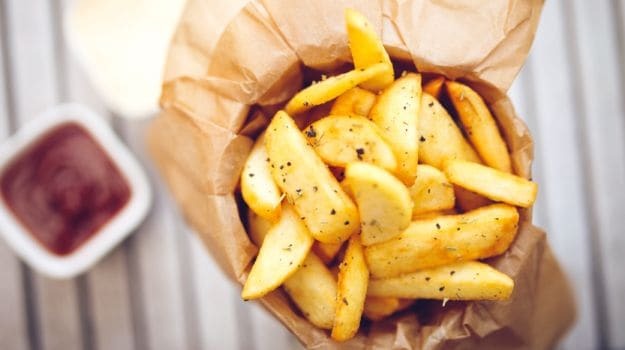 Did you know that of the global potato production, about 35 percent is used for frozen French fries, 28 percent as fresh produce and 13 percent as wafers and other treats? 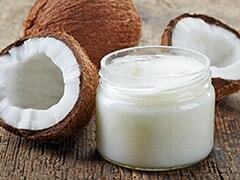 In the end, it is really us who are to be blamed for turning this humble ingredient into an evil. But then again, delicious food (including junk) is hard to stay away from. Some French fries please!